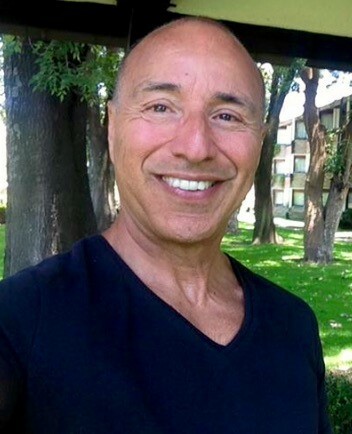 Miguel Valenciano is an Associate Consultant with The FutureWork Institute with 20 years of successful experience consulting, teaching, training, facilitating, and mentoring/coaching. He has managed large international, national, state and private sector contracts and projects, and has extensive experience with cultural competency, leadership development, cultural audits, and workforce development. Miguel is recognized in the United States and internationally for his extensive work in the field of cultural competency and has been a featured speaker at many local, state, national and international conferences. He has conducted approximately 2,000 training programs for more than 115,000 persons. He is a dynamic and energetic facilitator/trainer/consultant; his vision, energy, and creativity contribute to his success in leading diverse teams, facilitating and implementing strategic plans for organizations, and providing outstanding training and consultation. Miguel brings both practical experience and a dynamic presence to his work as a master facilitator, having done work in the following countries: United States, Canada, Ireland, United Kingdom, Germany, France, Switzerland, Brazil, Venezuela, Peru, El Salvador, Nicaragua, Guatemala, Honduras, Costa Rica, Belize, Mexico, Australia, Singapore, Saipan, China, Guam, Rota,Tinian, Republic of Belau, Federated States of Micronesia, Republic of Marshall Islands, and New Zealand. Miguel has developed and facilitated modules on several content areas in the health care industry, including; cultural competency, managing inclusively, cross-cultural communications, addressing “ouches” in the workplace, strategic planning, engagement, cultural audits, micro-aggressions, teambuilding, conflict resolution, supervisory skills, change process, and inclusive leadership. He also conducts Diversity Training of Trainers programs at the national and international levels. Miguel received his Bachelor of Arts in Multicultural Education from the University of Costa Rica, San Jose, Costa Rica and Master of Arts in Curriculum and Instruction from the University of Oregon, Eugene, Oregon. He also has a number of certifications: Master Facilitator Certification in numerous corporations; School Administration Certification from Lewis and Clark College, Portland, Oregon; ESL Teaching Certificate from Portland State University, Portland, Oregon. Miguel is bilingual in English and Spanish, and is versed in Italian.